I've always considered myself a glass half full kind of gal. The way I see it, you can't always control what life hands you, but you can control how you respond to it. Choosing to be happy is just that - a choice. There is certainly enough bad news in the world to bring you down if you let it, but where does that lead you? 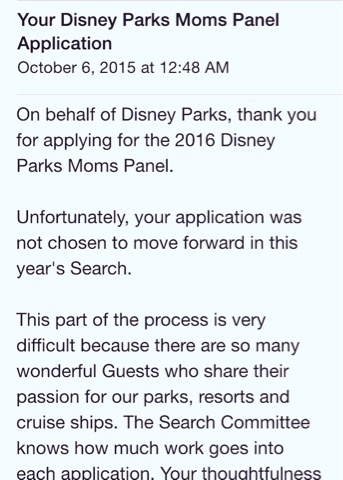 Yesterday I was disappointed to learn that my ongoing quest to one day be a part of the Disney Parks Moms Panel ended this year at Round 1. This was an especially tough blow after having made it to Round 2 for the first time last year. The email came through at 12:48 AM so I saw it on my phone when I woke up to feed my 8 month old son at 3:30 AM. While the disappointment is certainly there, I have to say that the adventure and excitement each September is something I wouldn't miss for the world. I've often said that Disney pushes me to be the best version of myself and even though I will once again not be joining the fabulous men and women of the Disney Parks Moms Panel, I have met some wonderful people along the way, continued to grow as a blogger, and am always finding new ways to share my love of Disney and the trip planning knowledge I have with those I meet. By choosing to keep a positive frame of mind, you are opening up yourself to new ideas and finding solutions rather than focusing on the problems that may be plaguing you. The attitude and demeanor you bring to a challenging situation can have a huge impact on the outcome. Surround yourself with positive people and look for the ray of sunshine that may be trying to peek through the clouds. 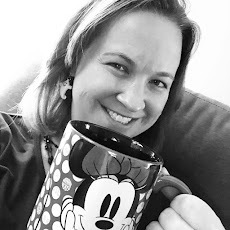 Is it too early to start #DisneyMP2017 trending for those of us already in that waiting room?